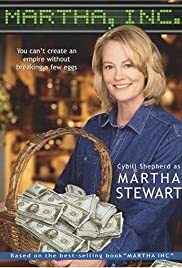 A grim look at homemaking business tycoon Martha Stewart's story, behind the facade of her motherly housewife appearance, including a crime she committed that brought her fame to a halt. Martha Stewart: I want cotton. I want three-hundred thread count minimum, or this face doesn't sell these sheets. Just because Kmart sells inexpensive products doesn't mean they can't be beautiful. That's why I'm here: not to sink to your level, but to raise you to mine. This is a fairly simple morality tale about what happens when you become an overachiever, when vaulting ambition demands ever higher achievement. Martha in her demand to make a splash, ignores her husband and child. If Martha were male, she might be looked on as a heroic figure who sacrificed personal happiness. I have always been amazed at how effortlessly Martha creates domestic perfection. Here, you see behind the covers at the panic and stress to create that illusion. 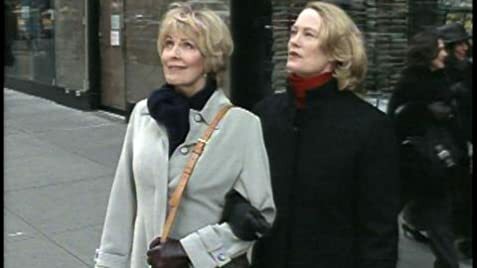 The movie points out Martha was once a stock broker, so when she was nailed on insider trading, she could not very well claim naiveté.